A few glitches for the new league in Week 12. The Austin Elite couldn't make it to Toronto due to "weather related flight issues". The game will be postponed until a further date which will be interesting as the teams don't have a bye on the same weekend. A few games will likely be shifted around to make this possible but with only 7 weeks left there aren't a lot of options. Arrows host Houston next weekend and Austin have a bye. Talking of Houston their new rugby specific stadium was lauded as the second in the country after Glendale's. Only glitch is the turf wasn't completely ready, it got shredded so badly in the first quarter that the match went to uncontested scrums for safety reasons and to preserve what was left of the turf. USA Rugby and MLR have signed a strategic agreement, included below, question is where does that leave Rugby Canada and MLR? There's no doubt that MLR Rugby is mostly USA focused with 11 USA teams and 1 Canadian team in the 2020 season. There are supposed to be 16 teams by 2022. 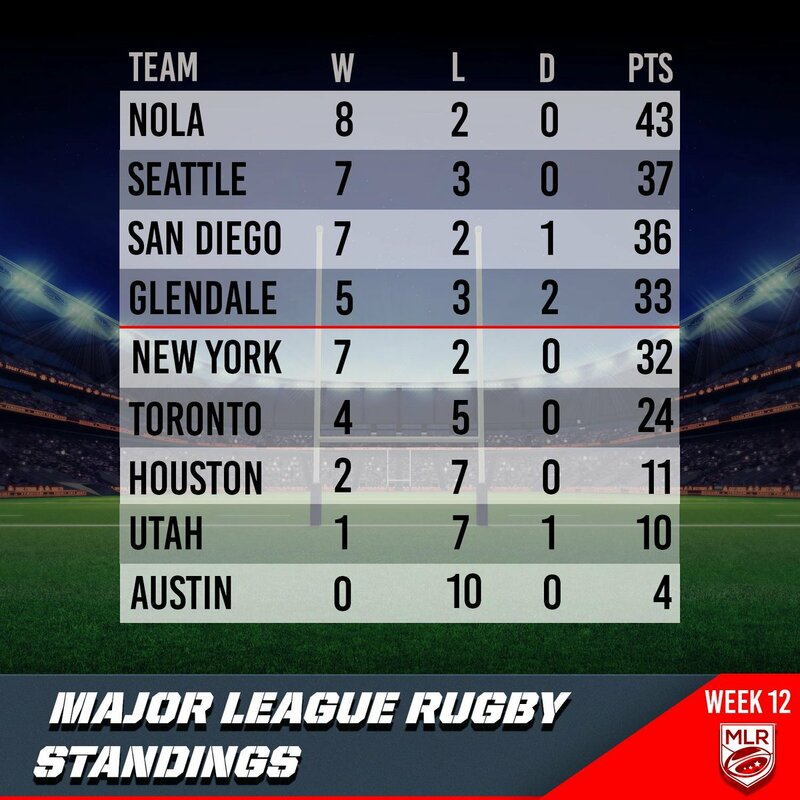 NOLA remained top of the league with a 28-19 with over Utah. Seattle moved up to second with a dominant 52-10 win at Houston. Nakai Penny scored a try, likely his first in MLR, and played the full 80. Phil Mack played the first 60 minutes, George Barton came off early, we're not sure if that's an injury concern as he had just returned to the roster. Brock Staller played the full 80 and increased his MLR lead in total points to 128, +17 on his NOLA rival. Djustice Sears-Duru came off the bench as a replacement prop in the second half. San Diego upset RUNY to claim 3rd place. There are 7 weeks left in the regular season, Seattle host NOLA this coming Sunday in the battle of the top two. Toronto host Houston, RUNY host Utah and San Diego host Glendale. 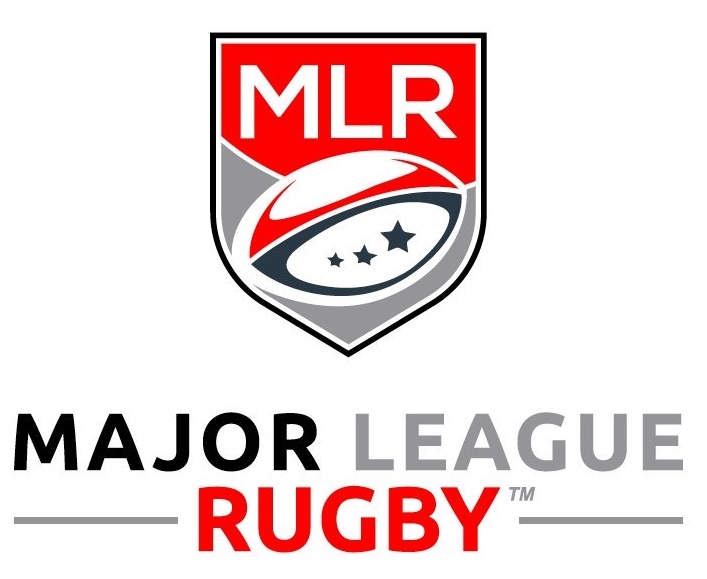 Houston, Texas; April 15, 2019: USA Rugby and Major League Rugby (MLR) today announced a finalized strategic partnership centered around the shared goal of developing the game of rugby in the US. Having worked closely through the league’s first season and a half, MLR and the national governing body formally established a framework for collaboration on key areas of mutual interest including: driving rugby’s growth as a participation sport; high performance pathways to ensure that MLR and the USA Rugby Men’s National Team are capturing the best available talent; and initiatives to propel rugby’s visibility and relevance in the North American sports landscape.